The extremely large body of work is classified according to the medium used. Please use the drop-down menu to see examples of work in each of the mediums - many by use of slideshows. Three reviews of the artwork by Prof. Hartwig Bischof, formerly of University of Vienna, are available for viewing and download from the Publications tab. This includes a major treatise: Bischof, Hartwig (2015) 'Nagler: Ein Erster Blick' (in German). Twenty-seven pages of analysis of the work with comparisons made to other artists + 51 pages of pictures giving a very good cross-section of the work. See below a slideshow of a set of early pen & ink 'cartoons', probably drawn in Canada circa 1940. They are some of the very rare works that are signed and could well have been part of Friedrich's portfolio that won him a scholarship to an art college in Canada. However this scholarship only covered tuition fees, so he couldn't afford to accept the offer. Galleries of: bone sculptures, wrought iron, and wood sculptures are available below, or with some narrative and automated slideshows via the respective drop-down menu tabs. There are also some good examples of the work under the Exhibitions tab. Please NOTE: For fullest appreciation of this website either follow the suggested links or use the Tabs across the top of the screen. This will take you to the Main Page for each tab and will optimise navigation and put context to the associated drop-down menus and Galleries. 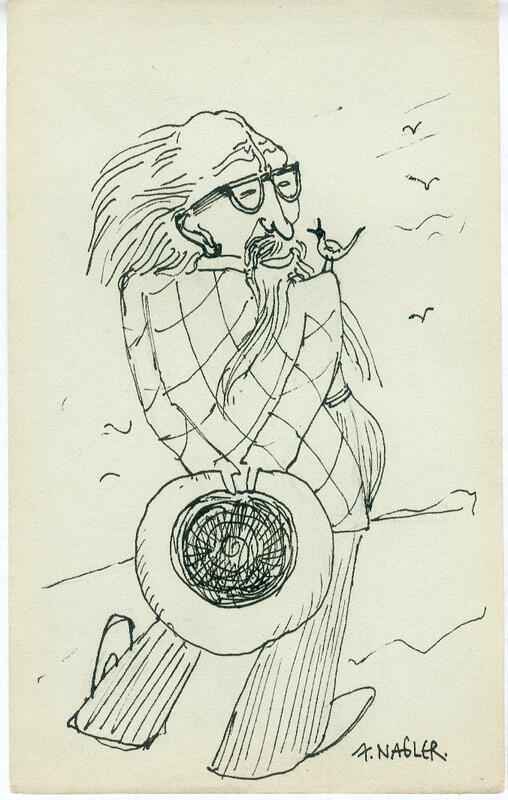 Early pen & ink sketches 'cartoons', probably drawn in Canada circa 1940.